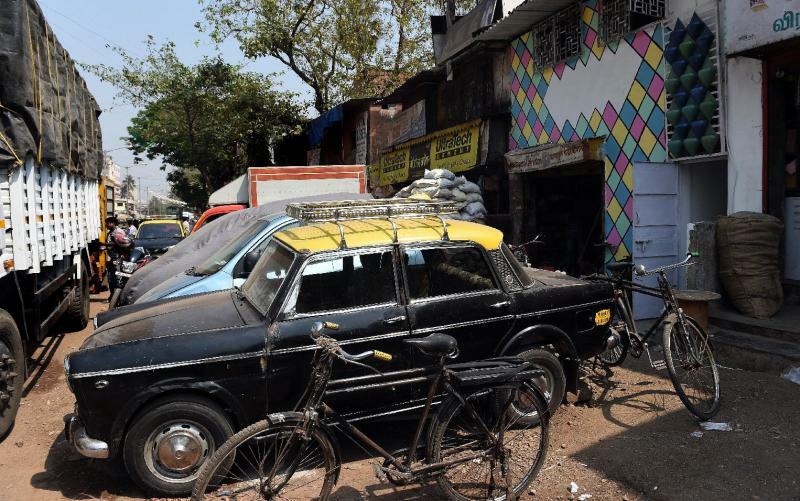 Mumbai (AFP) - The Mumbai neighbourhood made famous by the film "Slumdog Millionaire" is set to host its first "biennale", aiming to promote health through creativity, although it will be very different to some of the world's grander art fairs. The three-week festival, opening Sunday, will showcase works created by residents of Dharavi, the densely populated settlement in the heart of India's financial capital that is known as one of Asia's biggest slums. From hand-painted pots arranged to show how sexually transmitted diseases spread, to a quilted map marking known locations of domestic violence, the Dharavi Biennale is designed to raise awareness without being "preachy", say the organisers. But they also want to celebrate the neighbourhood itself, home to an estimated 750,000 people from all over India, which has been held up over the years as a symbol of both grimy destitution and flourishing industry. 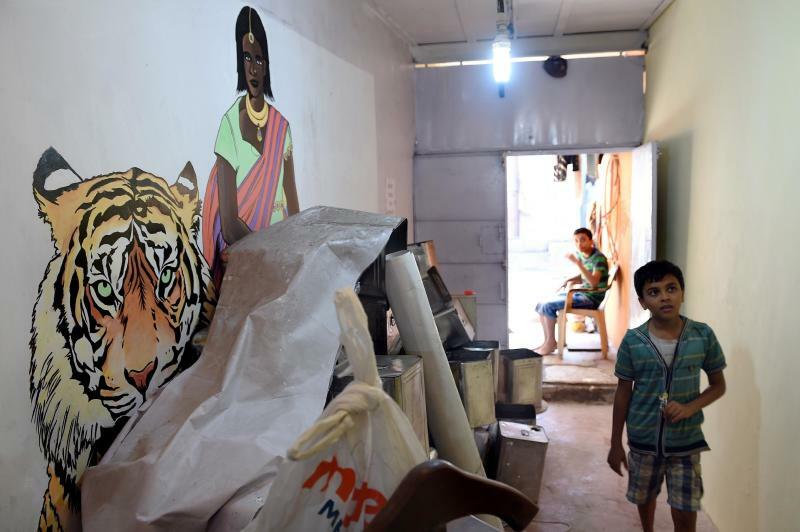 "What we see is that Dharavi is sitting on a lot of wealth and a lot of talent and art that gets missed out when you want to show squalor and slum," said festival co-director Nayreen Daruwalla. Britain's Prince Charles in 2010 cited Dharavi as a role model for sustainable living, praising its habit of recycling waste and the "order and harmony" of the community, in contrast to Western countries' "fragmented" housing estates. 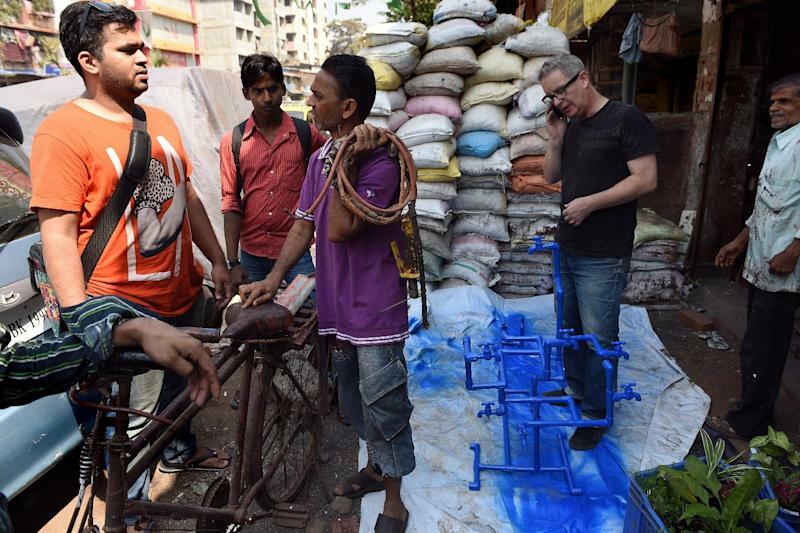 Guided tours around Dharavi's mini-factories -- producing all manner of goods from clothes to pottery -- are now a popular tourist attraction, while initiatives such as the SlumGods, a group of hip-hop street dancers, have challenged outsiders' negative perceptions. But the difficulties facing the community remain stark, and "there is a danger of going to the other side and romanticising", said Daruwalla, pointing out the cramped conditions, poor ventilation and lack of toilets. With such issues in mind, the Society for Nutrition, Education and Health Action (SNEHA) held an exhibition in Dharavi two years ago called "Dekha Undekha" ("Seen Unseen"), aiming to foster discussion, through art, about themes such as sanitation and maternal health. Its success led SNEHA to develop the biennale, a more ambitious project funded by the British charity Wellcome Trust, which culminates in the exhibitions and events this month at various locations across Dharavi's maze of alleyways. Aside from being held every other year, the festival has little in common with some of the world's better known art fairs, said co-director David Osrin, who in a presentation this month described the name as "slightly a joke, and slightly ideological". "The spirit and the way that our biennale is structured is very, very different," he told AFP. While other festivals simply ask artists to submit works, the focus in Mumbai has been on participation with Dharavi residents, particularly through workshops led by "mentor" artists. The results include the "Immunity Wall", a depiction of the body's immune system using recycled materials and everyday items: red hair bobbles for red cells, scouring pads for B cells and flexi bracelets as antibodies. Another exhibit uses traditional block-prints on cloth to illustrate the various levels of depression, a problem thought to be widespread but under-diagnosed in Mumbai's slums. Thousands are expected to attend the exhibitions over the coming weeks, but social scientists will be conducting surveys to try and assess the festival's qualitative impact as well as footfall. "It's quite an ambitious thing to try to develop artworks that speak to a health agenda without being preachy, and we think we've achieved it, but it would be very interesting to know what people actually think about that synthesis," Osrin said. A festival on this scale has proved a logistical challenge, be it finding space to display art amid the crowded dwellings or financing projects in the cash-based informal economy. Sticking to sustainable, pro-health agendas while creating the exhibits also proved tough, said urban gardener Adrienne Thadani, who worked on the project "Growing Fresh Air in Dharavi" promoting the use of plants indoors to stay healthy. "By using locally crafted clay pots to create easily replicable home gardens, we were working with kilns fired with synthetic scraps and used oil rags, which was polluting the area further," she said. However much it raises health awareness, the biennale appears to be boosting morale among Dharavi's residents, such as student Saraswati Bhandare, 21, who helped to create giant puppets for the opening show about tuberculosis. "People think this is just a slum area where we aren't educated, but the truth is that it's a place where so many talents come together. We're proud to be from Dharavi," she said.